I wanted something different with this black-and-white print. The tones of this B&W image resemble those of a platinum print. The rich blacks and extended mid-tones create a more luminous look. It also helps that I put a light behind them. 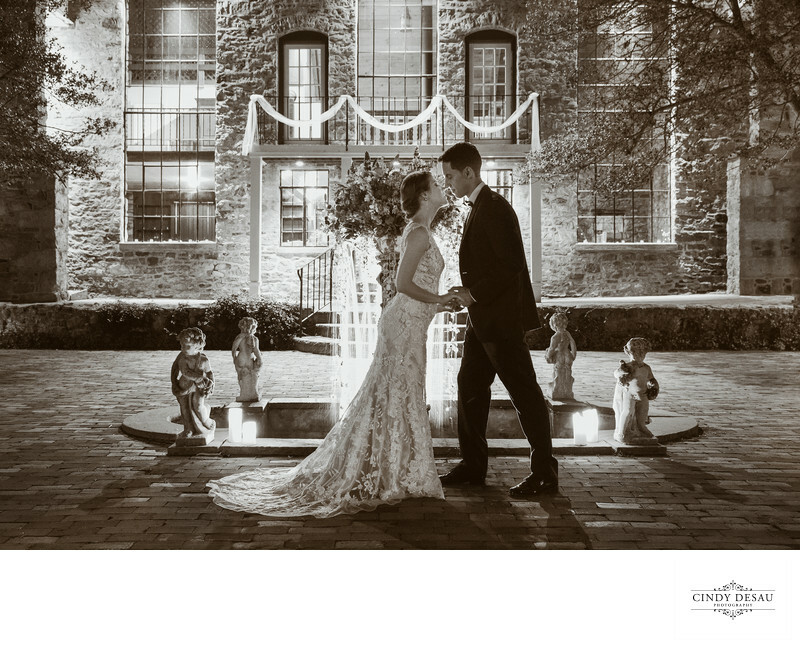 This is one of my favorite photographs of a couple on their wedding day on the Holly Hedge courtyard at night.